Alphabet posters, there are a lot of them, but this cute? And it has a kangaroo in it, so I'm hooked right there. 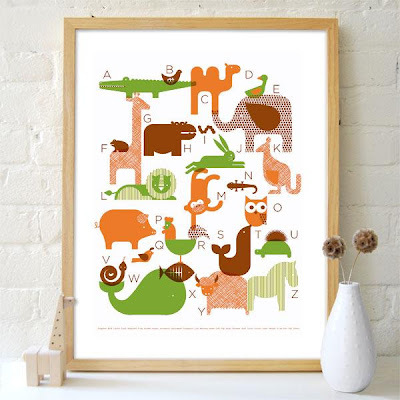 This animal alphabet by Petit Collage Wall Pieces is a 3 color screen print hand-pulled on uncoated 100% post-consumer recycled paper. Comes in three colour ways. Petit Collage print: Ladybug Vine on maple veneer. 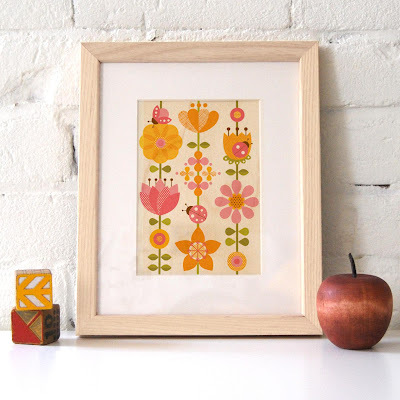 Available in two sizes, framed or unframed. Small size is 8" x 10" (matted size), large size is 11" x 14" (matted size). USD $15. Giraffe growth chat and mirror. 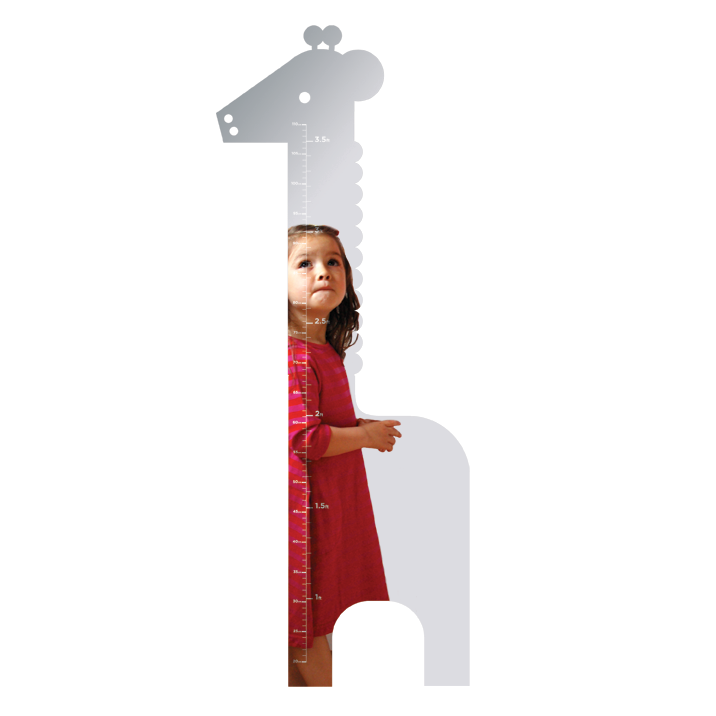 Gorgeous giraffe shaped mirror that doubles as a growth chart. Made of sturdy mirrored acrylic, it's shatterproof and light. Comes in two pieces (head and body) Features feet and centimeters. 16 inches x 3.65 feet tall; records height from 1ft to 3.5ft, and 20cm to 110cm. USD $100.